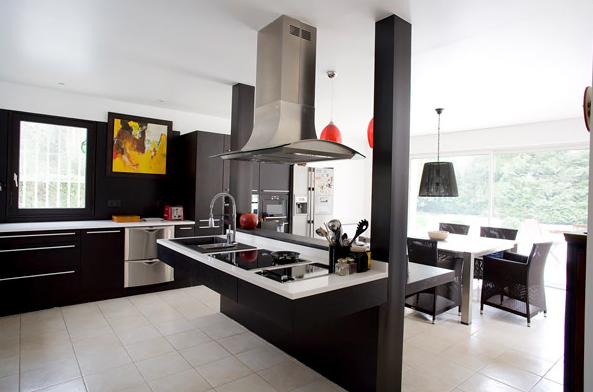 Jean-Yves Prodel, a wheelchair user, purchased a home north of Paris in 2005 and commissioned an architect to redesign it to incorporate universal design features. The result includes roll-under countertops in the kitchen, drawer-style refrigerators and dishwashers, a tile and stone roll-in shower with a grab bar and a swing-up grab bar mounted on either side of the toilet that’s easy to activate on demand, but disappears when it’s not needed. As you can see, making these changes in this gorgeous modern home haven’t affected its appearance or its usability to residents or guests who don’t use wheelchairs. 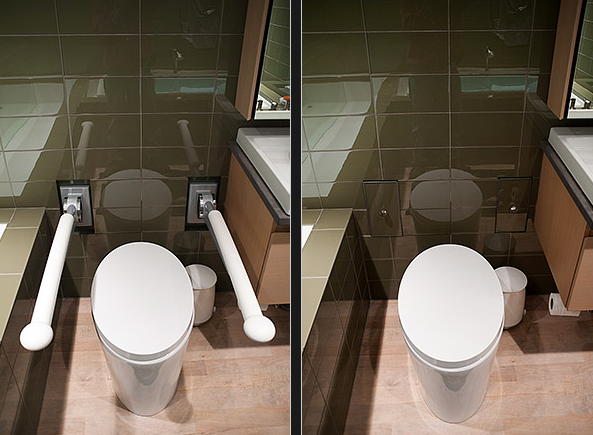 Winner of the Design and Architecture Norway competition in 2011, the Scandic Oslo Airport Hotel hired a disability ambassador to help them take steps toward greater accessibility. 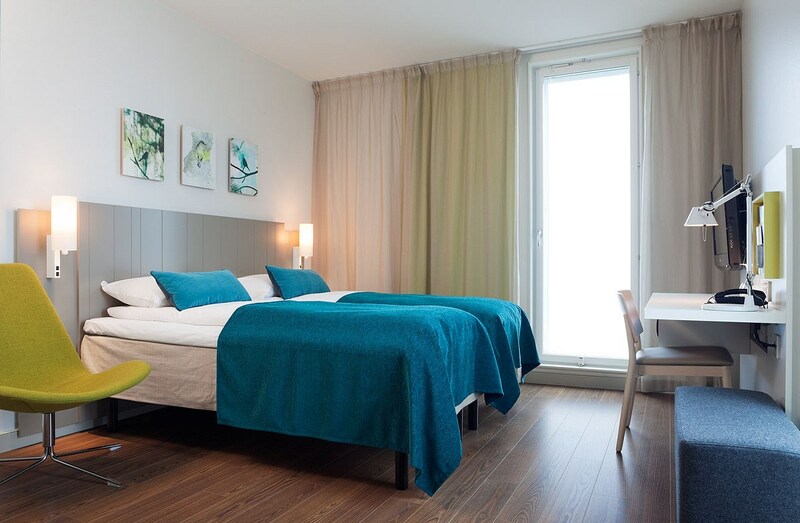 Magnus Berglund and his team engaged disabled guests and disability organizations to develop an accessibility standard for all Scandic hotels, and trained every member of staff to better understand what they can do to make guests of all abilities comfortable. After a spinal cord injury resulted in the need to use a wheelchair, Rosemari Rossetti hired an architect to draw up plans for a new home in Columbus, Ohio, where she would reside with her husband. 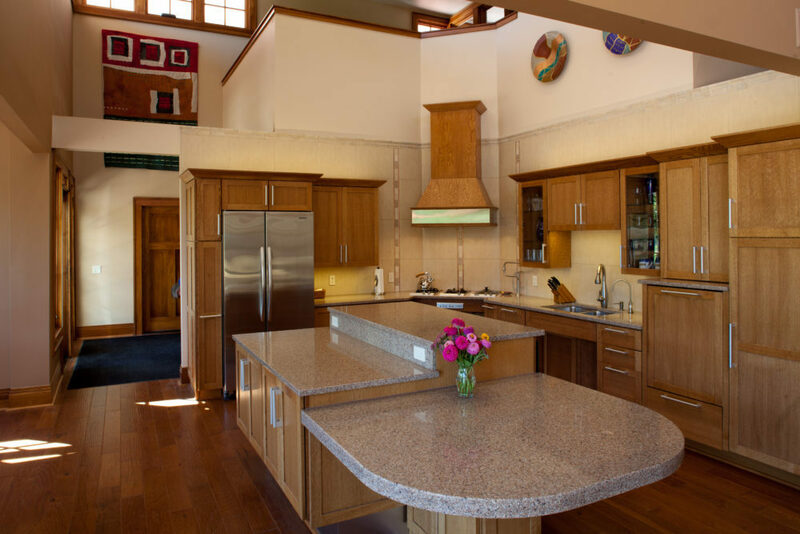 It took over 200 corporate contributors and 32 months to develop the space now deemed the “Universal Design Living Laboratory,” the top-rated universal design home in North America. 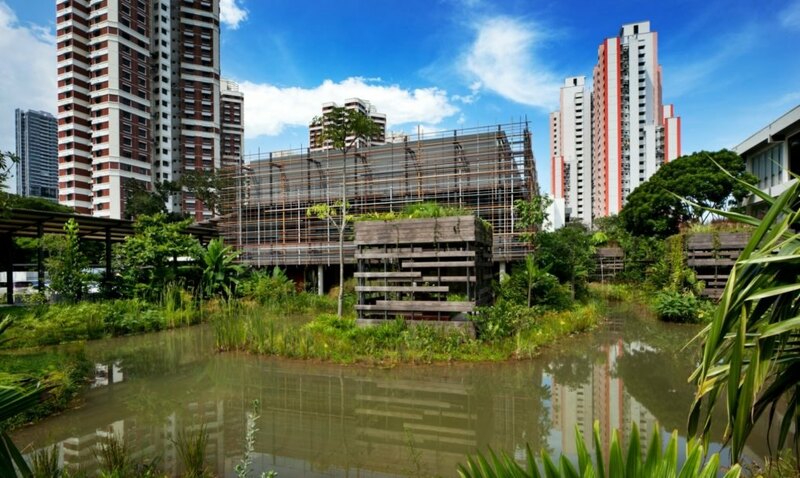 Enabling Village, a multi-use community in Singapore by WOHA, is designed to be both accessible and sustainable with a host of beautifully integrated inclusive features including elevators, low-grade ramps, tactile floor indicators and braille signs. 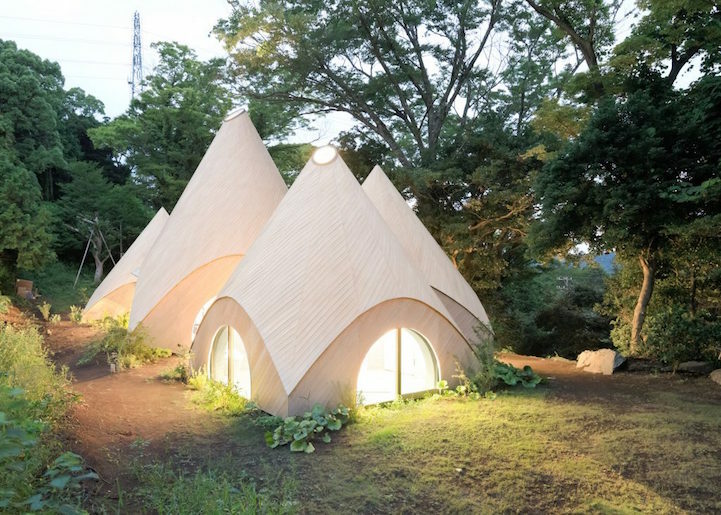 A cluster of domed houses in Japan by architect Issei Suma offer an unusual fairytale-like retirement home to a group of women with varying levels of ability and mobility. 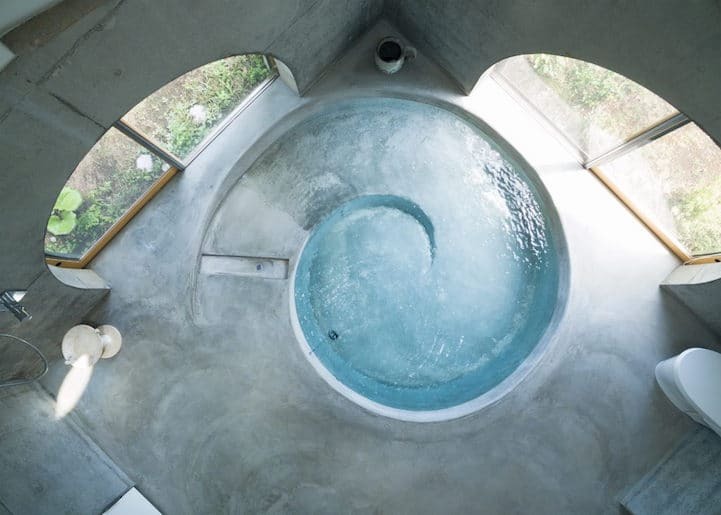 The spiraling bathtub that doubles as a ramp, built right into the concrete floor, is one of its most stunning features. It’s clear to see that this design (and the rest of the bathroom) gives wheelchair users independence, and it’s enjoyable for people who aren’t wheelchair users, as well. 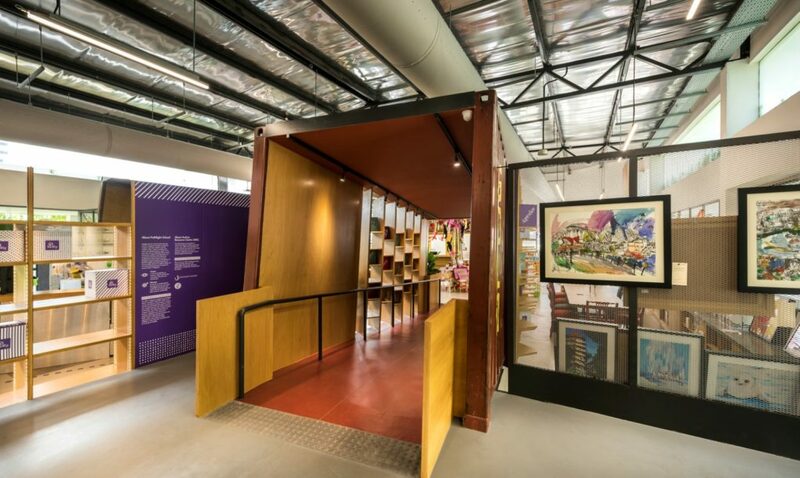 ArchDaily predicts that Universal Design will be one of the big design trends of 2019. On a larger scale, urban planners are beginning to ask how we can make cities comfortable for everyone from childhood well into their elder years. These concepts are here to stay, which presents a lot of opportunities for designers to develop all sorts of interesting concepts to help bring them into the mainstream. Check out modern architectural & technology solutions for aging communities and how smart home technology can make spaces more accessible than ever.